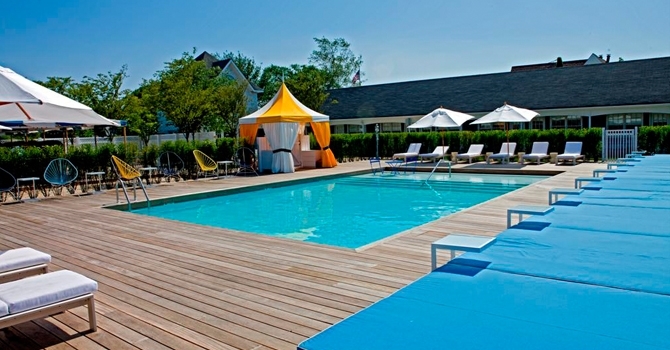 The Capri Southampton paints itself to be a trendy, luxurious hotel in the middle of the oh-s0 glamourous Hamptons. Is that true though? I would say yes and no. The location isn’t that desirable. Barely anything is close and you have to drive to the main district of Southampton. From the pictures you would never guess that the hotel looks more like an old motel. They hide the flaws well in photos, as you will see. While the room itself was okay, the bathroom was completely underwhelming. I would even say quite dirty. I noticed mold in the very small shower! I certainly didn’t want to spend time in my room. The Bathing Club is easily the highlight of the hotel. The pool is surrounded with gardens, daybeds and lounge chairs. While the pool didn’t seem to be extremely clean, the atmosphere was beautiful. No expense was spared with the decor. You just felt like you should be swimming next to Hollywood royalty. The hours were surprising though.. while pool-side service was open until 2:00 am most nights, the pool itself actually closed at 8:00 pm. This seemed quite early for such a happening spot. 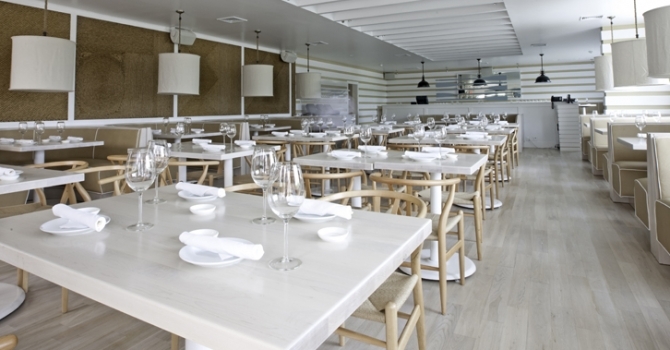 World renowned Nobu has it’s Hampton’s outpost at the Capri. This “New Style” Japanese cuisine is not only delicious but expensive. Three pops and one small order of maki will run you at least $30. This is the place to see and be seen though. Even the weeknight crowd is very obviously wealthy and overdressed. Parked outside is nothing but Range Rovers, Bentleys and the newest of new luxury vehicles. Inside you find a mixed crowd of men and women aged twenty to forty. Everyone looks like they could be someone. The average person could certainly feel out of place in a restaurant this trendy. 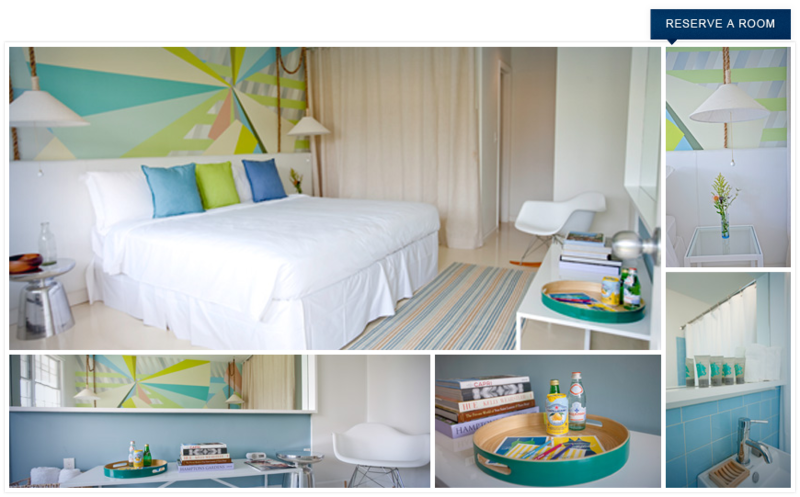 Designer Cynthia Rowley consulted on the hotel’s decor, which is obvious when you see the bright colours and modern yet nautical designs. She lent her hand designing the rooms, poolside Bathing Club as well as restaurant Nobu. She also has an inclusive boutique at Capri which hosts her designer collections. There one might find everything from Rowley/Roxy wetsuits to Mr. Powers men’s wear to beach blankets and more. The store was closed during most of my stay and seems to have bizarre hours. For something so expensive, I really didn’t think Capri Southampton was worth the hype. If you want to spot “important” people maybe visit Nobu on a weekend evening. Other than that, pass on the $600 a night motel. Tags: bentley, capri, cynthia rowley, hollywood, hotel, hotel review, long island, new york, nobu, range rover, review, southampton, the bathing club, the hamptons, travel, trendy. Bookmark the permalink.